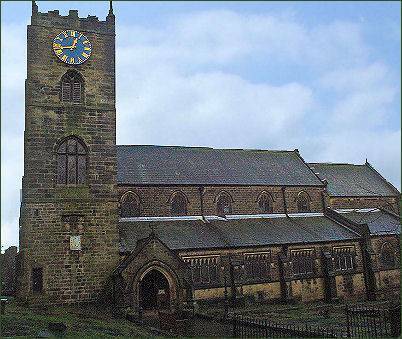 The church of St. Michael and All Angels at the West Yorkshire town of Haworth, dates mainly from the eighteenth century. Reverend Patrick Bronte, father of the famous Bronte sisters, was once the incumbent of the church. The church was rebuilt after the deaths of the Bronte family, only the tower remains of the original building, which has bullet holes, a result of Mr Brontë's regular habit of firing a pistol at it each morning. 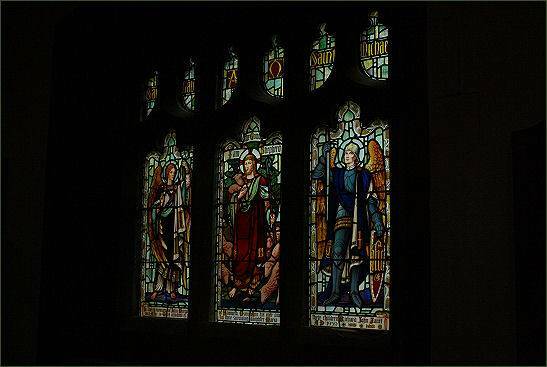 The present St Michael and All Angels church in Haworth is the third religious building to occupy the site and is not the building which the Bronte family worshiped in. 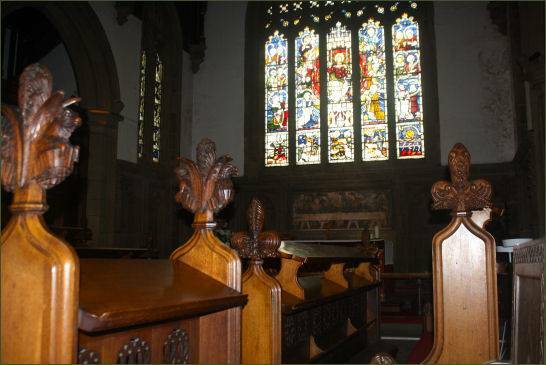 The first Haworth Chapel was built in the fourteenth and sixteenth Centuries, the tower base of this church still survives today and forms the oldest part of the existing church. The decision to demolish the old church building, with its associations to the Bronte family caused a national outcry as Haworth and the church had already become a place of Bronte pilgrimage. However, it was proven that the building was unsafe and unsanitary as water from that graveyard was seeping in through the floor. The foundation stone of the present building was laid on Christmas day in 1879 although the base of the tower dates back to an earlier chapel dating from 1488. In 1742 William Grimshaw, a friend of the theologian John Wesley, was appointed curate at Haworth. An enthusiastic clergyman, he is reputed to have left his services to usher men out of the many public houses at Haworth to listen to his sermons. Patrick Bronte was appointed the perpetual curate of the church in 1820 and moved to the Parsonage at Haworth with his family from the village of Thornton near Bradford. It was to be their home for the rest of their lives. 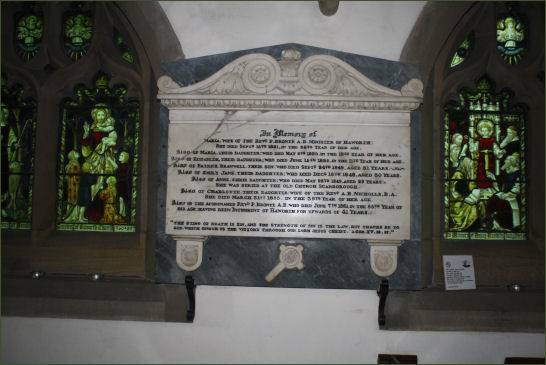 Patrick Bronte was a conscientious parish priest who often walked many miles a day to tend to parishoners in the neighbouring villages and Haworth will be forever linked to the literary legacy of his three famous daughters, Charlotte, Emily and Anne. In 1845 Arthur Bell Nicholls, who would later marry Charlotte Bronte, arrived in Haworth. He was appointed as a curate of the church. 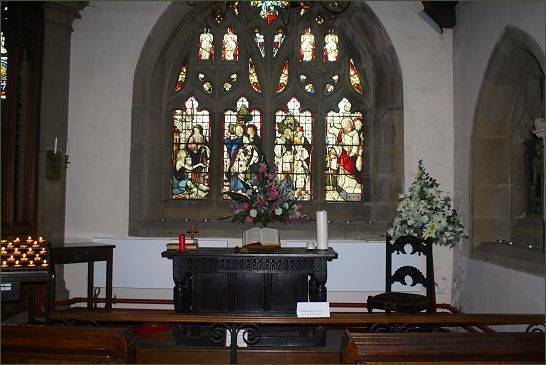 The present building has tall arched windows, a high three-tier pulpit, narrow wooden box pews, a larger square pew which used by the Bronte's is situated next to the east wall nearer the altar. All the Brontë family, with the exception of Anne Brontë, who died in Scarborough, were buried in the family vault beneath the floor of the church. In 1964 the locals built a Bronte Chapel on top, and a plaque marks the spot where their black oak pew once stood. Adjacent to the church is the historic graveyard, church school buildings and the Georgian Church Parsonage which the Bronte family lived. Patrick Bronte valued education and attempted to provide education for the poor. He campaigned for the establishment of a National Sunday School in Haworth. In 1831 he obtained a grant of £80 from the National School Society towards building a Sunday school in Haworth which opened in 1832. 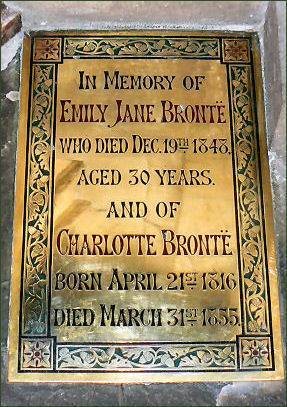 His children, Charlotte, Emily, Branwell and Anne all taught at the school. Patrick Bronte remained active in local causes into his old age, and between 1849 and 1850 organised action to procure a clean water supply for the village, which was eventually achieved in 1856.